The Supreme Administrative Court of Ukraine upheld a ban of the Communist Party of Ukraine, the press service of the Justice Ministry reported. According to the ministry, the Supreme Administrative Court overturned the Party’s appeal to open proceedings challenging the legal opinion of the Commission on compliance with the Law of Ukraine "On the condemnation of the Communist and National Socialist (Nazi) totalitarian regimes in Ukraine and prohibition of promotion of their symbols. " "This conclusion has established non-compliance of the Communist Party’s activities, its name, and symbols with the requirements of the Ukrainian legislation," reads the statement. The Supreme Administrative Court found that "the appeal is unfounded while the arguments set out in it are not the base for reviewing the case, since the applicant did not give reasons for believing that the court incorrectly applied the rules of substantive or procedural law." This judgment of the Supreme Administrative Court of Ukraine can not be appealed. 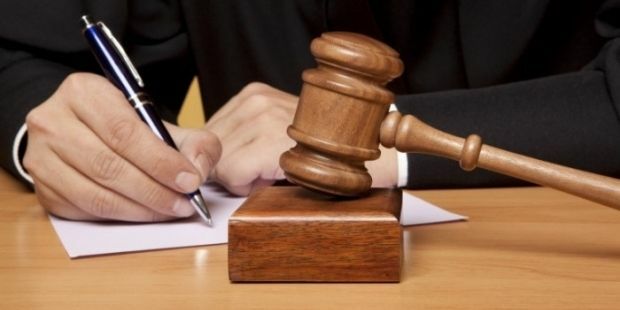 Thus, the administrative courts have come to the conclusion that the arguments of the representatives and lawyers of the Communist Party of Ukraine are not grounded. That is, the validity of mentioned conclusion and the ban of the Communist Party, have finally been confirmed. As UNIAN reported earlier, on July 8, 2014, the Ministry of Justice of Ukraine and Ukraine’s State Registration Service have lodged a claim with the District Administrative Court of Kyiv to ban the activities of the Communist Party of Ukraine. Read alsoCourt rules complete ban of Communist Party of UkraineThe lawsuit stated: "The CPU performs actions aimed at forceful change of the constitutional order, violation of sovereignty and territorial integrity of Ukraine, propaganda of war, violence, incitement of ethnic hatred, encroachment on human rights and freedoms; as well as representatives of the Communist Party systematically appeal to the creation of paramilitary groups." On December 16, Kyiv’s District Administrative Court satisfied the claim of the Ministry of Justice of Ukraine in full, banning the activities of the Communist Party of Ukraine, according to the court’s official website.